The functional block diagram of D8M-FMC is shown above. MIPI Camera Module sends the video captured to MIPI Decoder via MIPI link. 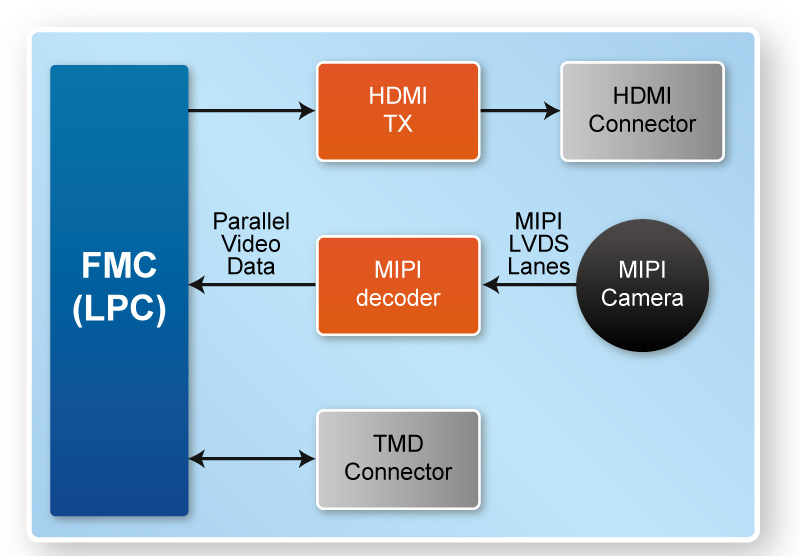 MIPI Decoder converts MIPI Video Data to parallel data and output to the main board through a FMC connector. The parameters of the MIPI Camera Module and MIPI Decoder can be configured by FPGA via I2C interface. 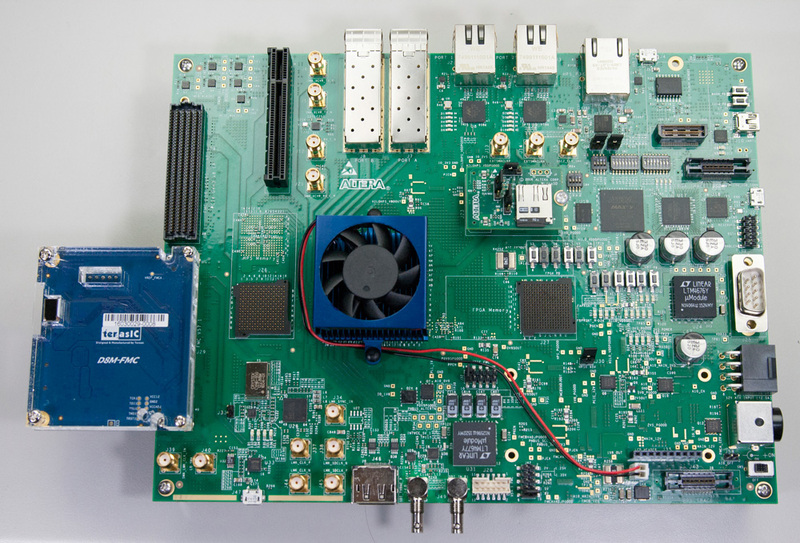 For instance, number of output pixels from MIPI Camera Modules, RGB gain, position of focus, PLL of MIPI Decoder, and parameters of Video MIPI Decoder etc. 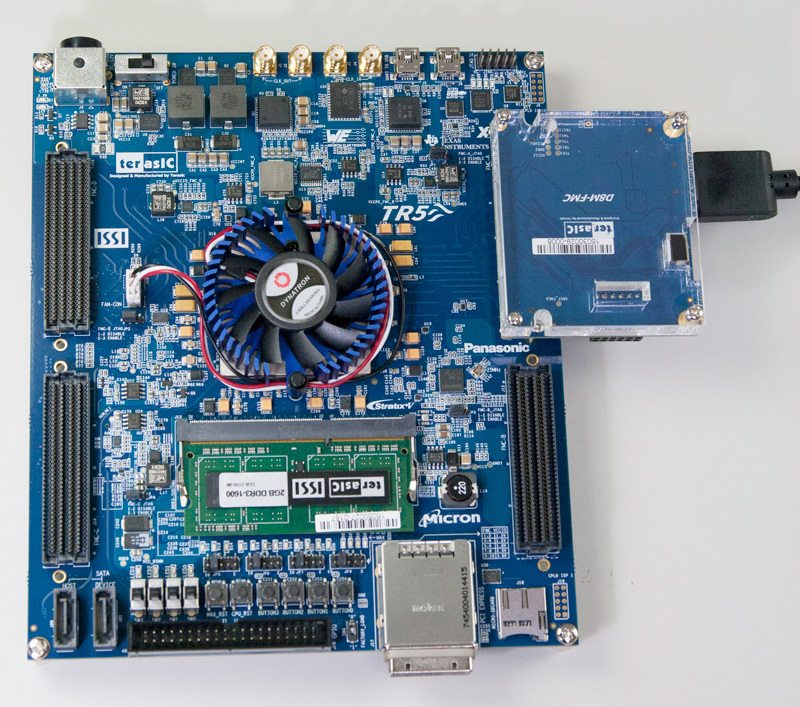 The D8M-FMC also includes a HDMI-TX for deveopers to display the processed video image on a monitor with HDMI input when the FPGA main board has no display capabilities. 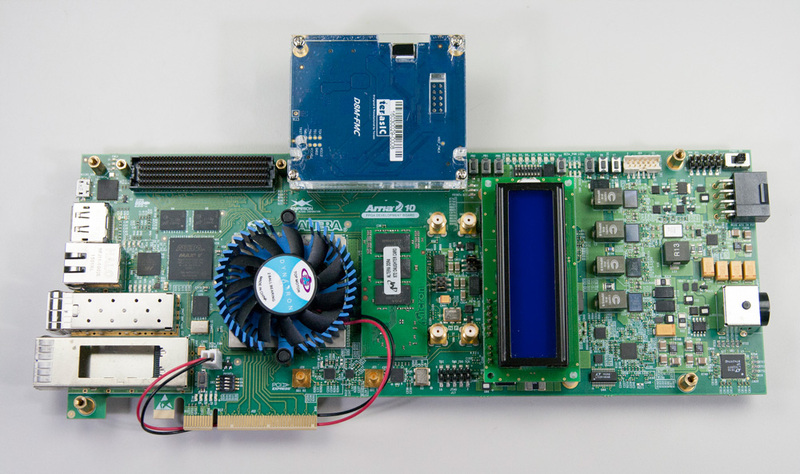 The D8M-FMC Package is designed for FPGA main boards with FMC expansion header.